Located on the Balkan peninsula with borders to Greece, Romania, Turkey, Macedonia, and Serbia, Bulgaria is a country of a rich history. From Thrakan tombs to orthodox cathedrals and communist-era memorial buildings – you will find it all in a small country. Today Bulgaria is a member of the European Union, mostly known for its coastal areas along the Black Sea. I, however, had the chance to visit slightly more unknown places (unknown at least outside of Bulgaria). From Sofia to places like Belogradchik, Shipka, and Troyan in the Balkans to Bachkovo in the Rhodopes but also into the Rila Mountains toward its famous 7 Lakes. This gallery will over the course of the next few months be extended with more images, so what you can see now is nothing but a small selection from the very first few days of my journey. 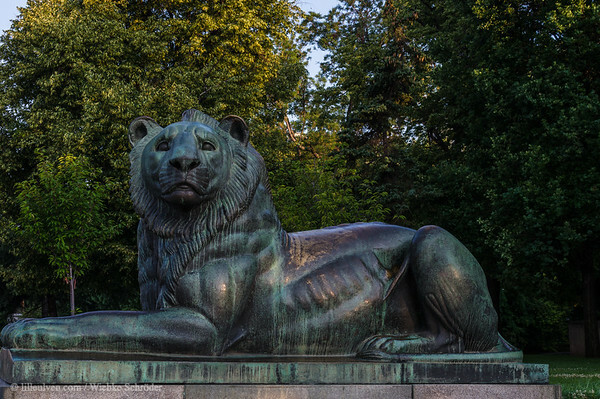 , Sofia, Sofia City Province, Bulgaria The lion is the national symbol of Bulgaria. Its sitting position in this part of the Monument of the unknown soldier has been highly discussed, as it was seen as an abuse. uuid="93199AFE-2812-43FA-B704-9BE296F5F42D" id="Bulgaria lilleulven.com _K3_1823.DNG Bulgaria lilleulven.com"